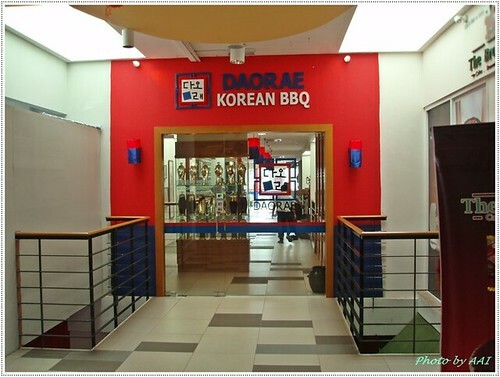 A latest addition to the influx of foreign cuisine to Ipoh is the famed Daorae, a Korean BBQ Restaurant offering the finest Korean experience right here in Ipoh's De Garden Mall. 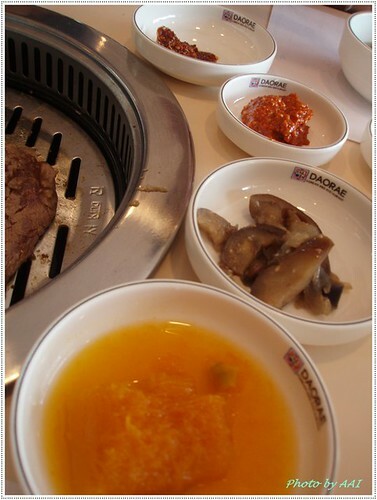 Daorae prides itself for having being listed in the top 300 restaurants in Asia recommended in the 2008/09 Miele Guide. 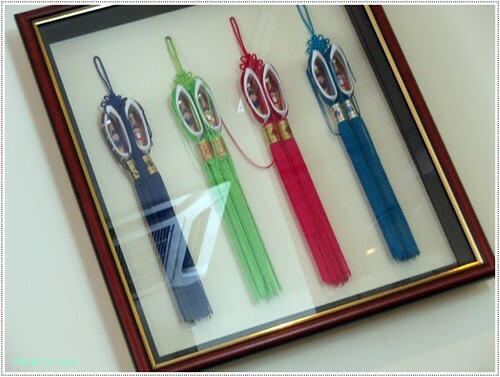 If you can read Mandarin, check out the Sinchew article here. 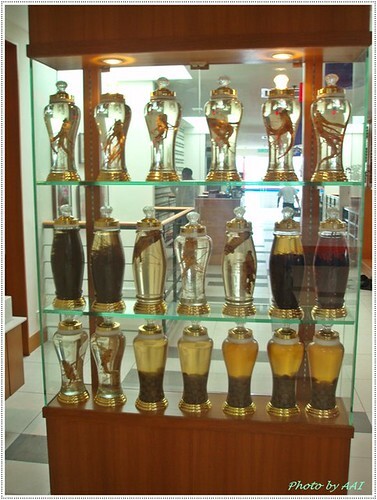 A Korean ginseng & herbs display cabinet welcoming visitors at the entrance. 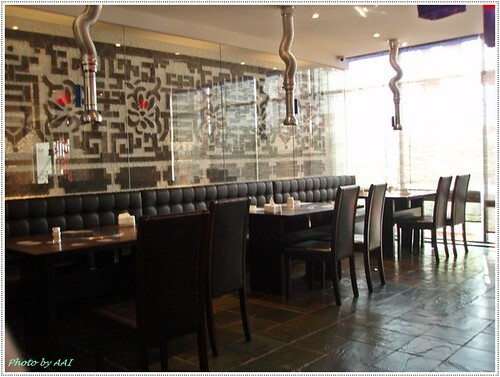 Guests can choose the traditional style of sitting on the floor to dine in Korean style. Or for guest with elderly members can choose the normal table arrangement for dining without the need to crouch down. 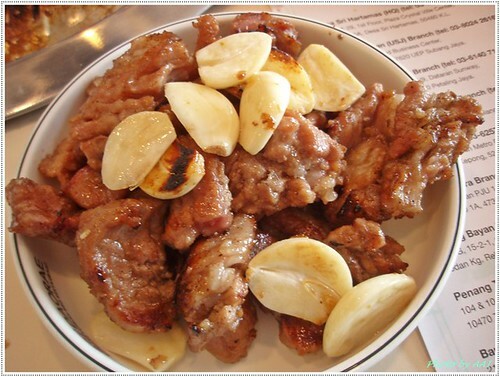 Anyone intending to try out Daorae should not missed out from ordering BBQ dishes since it is their house specialties. 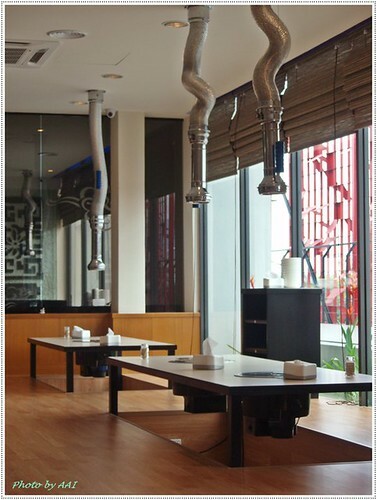 Notice that in the previous two pictures, each table featured a "arm-like" contraptions above the table. Mind you, they are not table lights nor the dismembered arm of "Dr. Octopus" although they do bear a striking resemblance. Hehehe!! They are extendable exhaust fans used to vacumm away the BBQ smokes from the grilling pan. 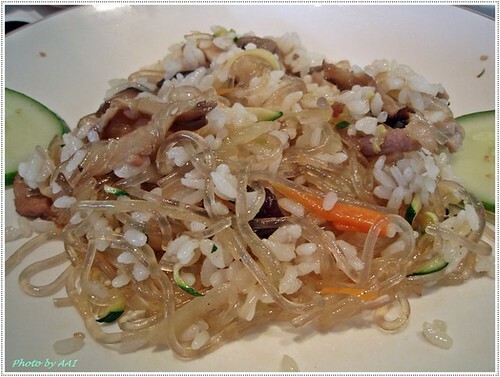 In Daorae, the grilling is done with charcoal tubes. 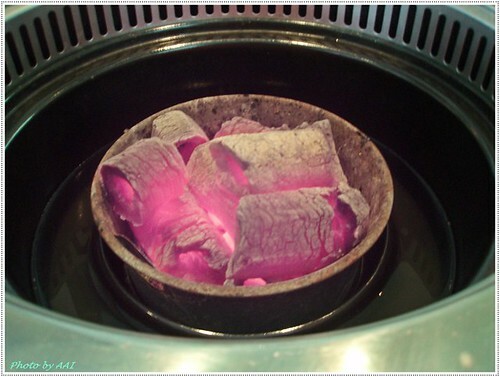 Below is a picture of the flaming charcoal tubes placed in the centre of the table. These charcoal's heat can be felt even 3 feet away. Hot! Really Hot! 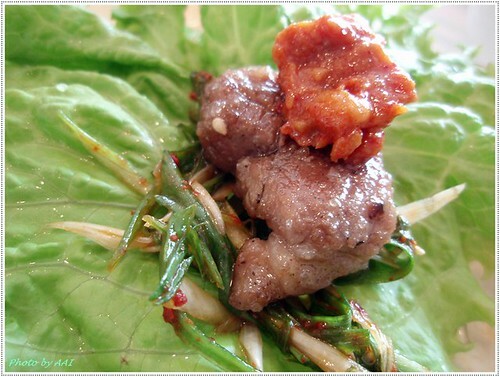 Our first BBQ dish was Hanbang Dweji Wang Galbi (RM38) which is a filleted pork ribs marinated with ginseng, herbs and sweet soy sauce. While we waited for the Daorae staffs to do the hard work of barbequing the pork ribs, we chatted dined on the banchan (side dishes / 반찬). 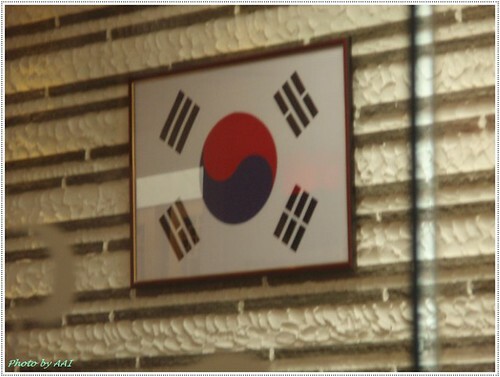 We were served a total of 8 ban-chan and together with a soup makes up to that is called 9 cheop (구첩) table setting. 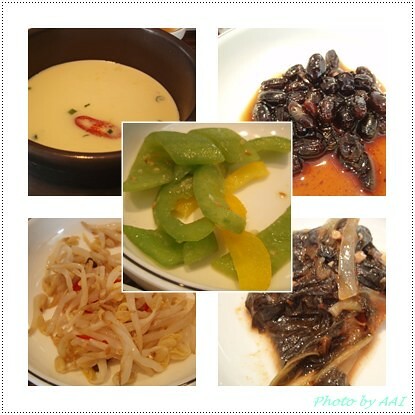 These side dishes are free and is the norm of Korean restaurants to serve them as appetisers/accompaniment to the main courses. 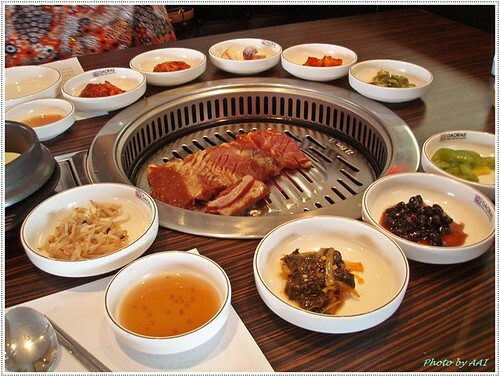 You can read up more about banchan here. 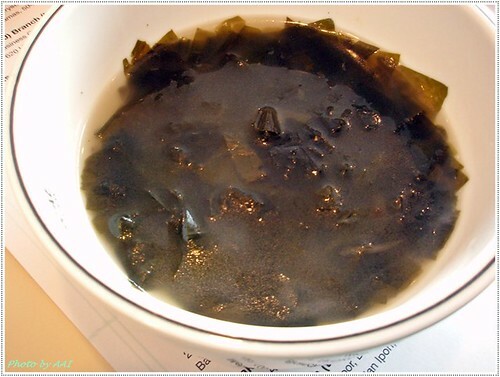 Seaweed soup for each customer. The finished products of the barbequing, tender and still moist. Obviously the waiters were carefully trained to not overcooked the meats lest it would turn up tough and charcoaled. 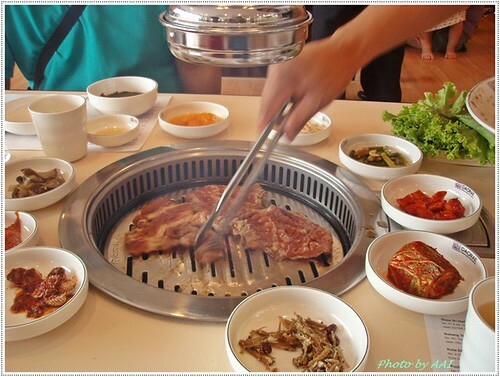 Grilled to perfection, we hastily dig our chopsticks to grab the tender filleted pork ribs. There were two type of sauce for the BBQ. The red one tasted like chilli with fermented bean paste (gochujang) and the other a combination of oil, pepper and salt. In our haste to grab a bite on the tender porks, the waiter was kind enough to advise us of the proper korean way to eat the BBQ which was to get a piece of lettuce, place some spring onions, a piece of meat and top off with a dollop of the fermented chilli bean paste and a piece of garlic. Wrap the combination and chow down on it. Hmmm... the Korean are really clever to transform a otherwise heaty and oily BBQ dish to become a healthy-looking salad-like dish. This should appeal to health conscious gals. In between the main course, we were free to saviour the banchan. 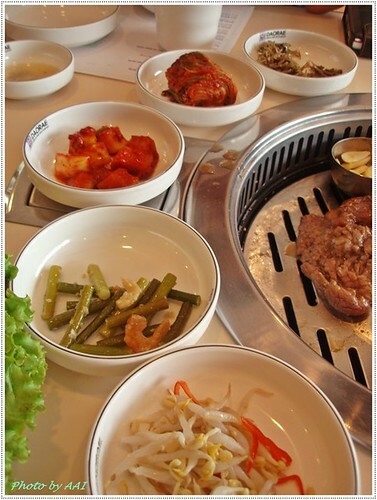 Take note that you may ask the waiters to top up the banchan that you like. The waiter recommend that we ordered a Heamool-Tang (RM80), a seafood, tofu & vegetable in spicy chilli soup served in an iron cast pots. 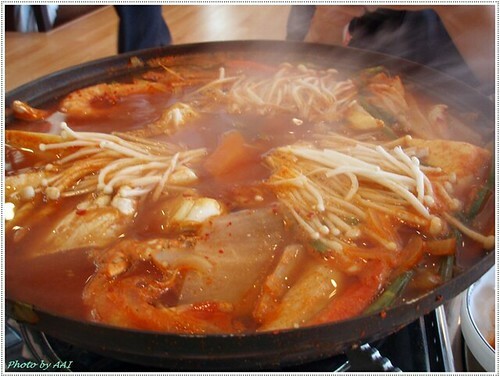 The heamool-tang came steaming hot. The combination of hot steam & chilli was hot enough to bring the tears and sweat out. It's good that they had air-conditioning there. The nice thing about the spicy soup was that although it was really spicy but it did not burn the mouth like our local chilli padi. The spicyness did not stay long in the mouth. Once the meal was over, the spicyness of the soup was gone. 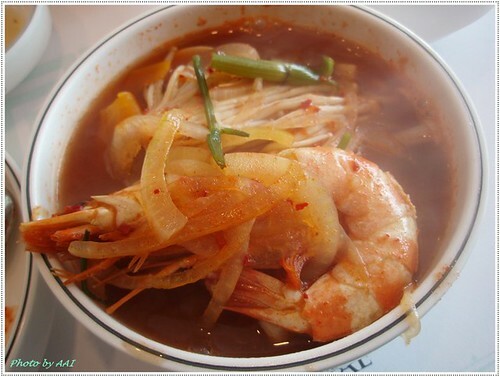 The spicy soup came with prawns, squid, mussels and flower crabs. 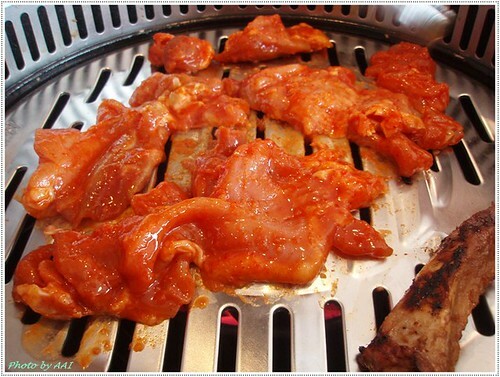 Apart from the pork ribs, we also ordered the Dak-gal-bi (RM28), a boneless skinless lean chicken marinated in hot chilli sauce. Again, the chicken was grilled to tender perfection like the pork ribs. 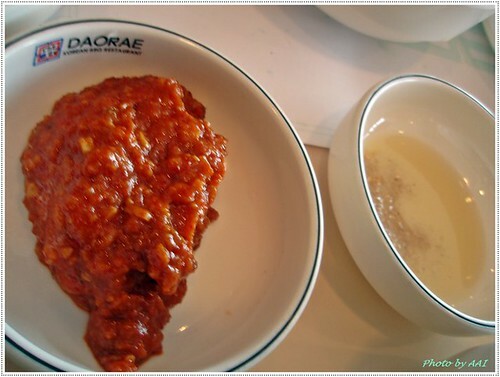 After the first visit to Daorae, the experience & food was enticing enough to call for a re-visit again a week later. 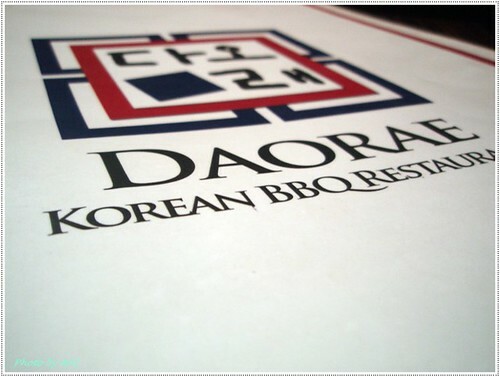 This time I chose to bring my family to try out Daorae. This round we ordered a Jab Chee Bok-um-bab (RM18), glass noodles & rice pan fried with slices of shredded pork & assorted vege in sesame oil sauce. This time, we were served a mind boggling total of 10 Ban-Chan + 1 soup. Overall, the main courses were well prepared and nice. Some of the ban-chan were a bit plain, but I guess it was suppose to be simple so that it would not overpowered the taste of the main courses. 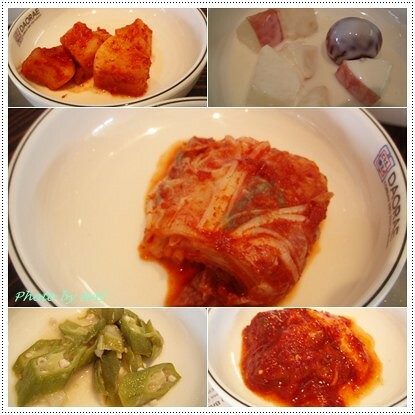 Not many people may be accustomed to Korean dishes as the taste are rather unique such as the KimChi. 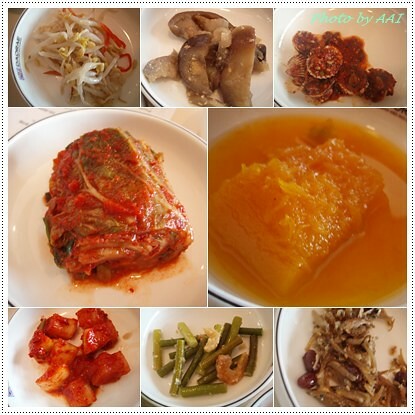 Over the years, I have grown to appreciate Korean dish which stresses alot on the original taste of the ingredients. The seasoning compliments the taste of the main ingredient rather than changing the original taste. dishes or alternatively you can choose their set lunches. Yes beef seems to be their specialties, but i didn't get to try it. Nevertheless the pork and chicken was very nice. Thanks a lot and, btw, very nice photos! Where does Kim's Mart located? BTW, is the food selling there are halal? 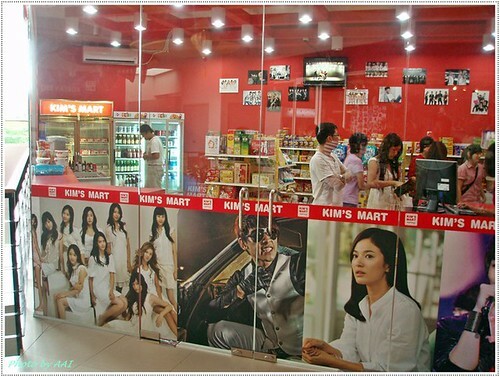 P/s: credits to u, I get to know more about Korean food and realize a koreans food store in ipoh.